The modern incarnation of a classic design, the T-70 X-Wing fighter is the signature combat craft of the Resistance forces in their fight against the First Order. 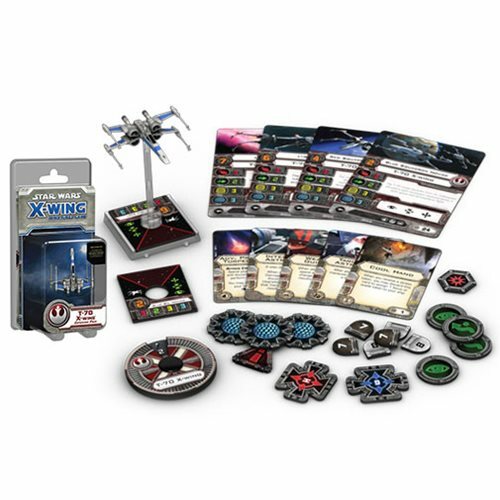 The Star Wars: X-Wing Game T-70 X-Wing Expansion Pack comes with a pre-painted T-70 X-Wing miniature, as well as 4 ship cards, 1 maneuver dial, and all the tokens you need to resist the First Order and its dark might! Please note: This is not a complete game experience. A copy of the X-Wing Miniatures Game Core Set is required to play. Ages 14 and up.